The first Thursday in May is celebrated as National Day of Prayer, and many people and organizations across the Ohio Valley are taking part. National Day of Prayer, in its 64th year, encourages those of all religions to pray for the nation. 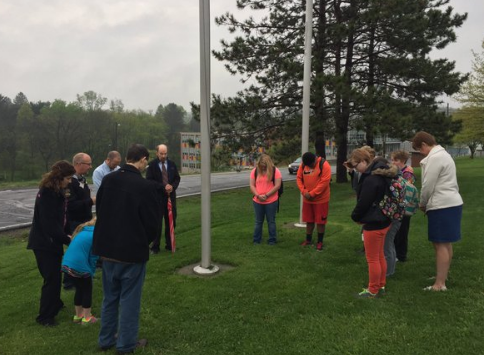 Among many of other places, the Wintersville and Wellsburg communities took time to pray Thursday morning. “Our nation needs prayer, our schools need prayer. That’s the only way to go,” said Megan Evans, who attended a prayer in Wintersville. Rev. Bobbyjon Bauman of Starkdale Presbyterian Church in Wintersville said he thinks communities that pray together are stronger in terms of the morals of the community. These were just two events on a long list of ceremonies honoring National Day of Prayer in the Ohio Valley, leaving those who participated with even more hope for the future. “It’s nice to know that there are people out there that are still trying, that are still praying, and that they are still hoping for this nation,” Evans said. “Maybe pray on a more regular basis for our nation, for our leaders, for our schools, for our students, so I think it’s a real positive thing,” Bauman said. For more information on the national day of prayer, click here.